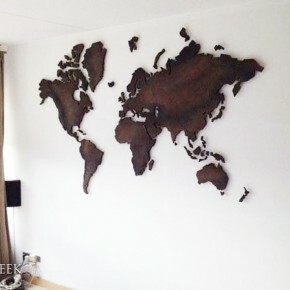 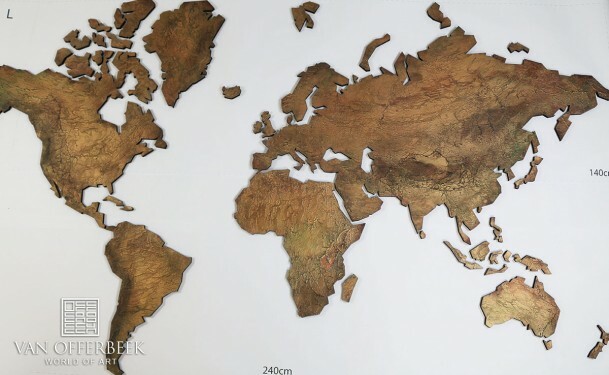 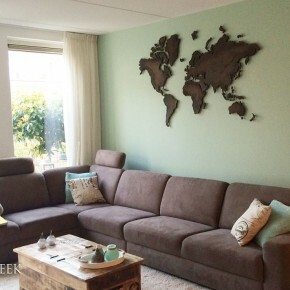 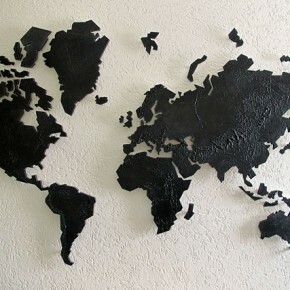 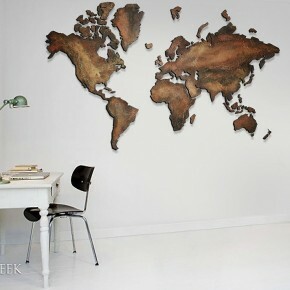 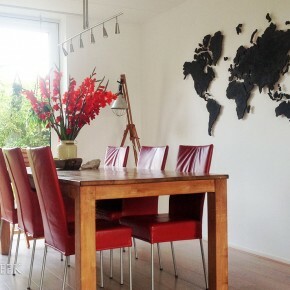 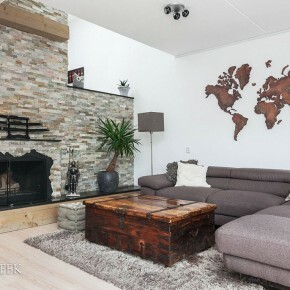 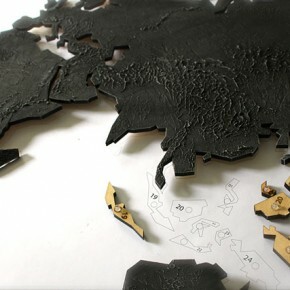 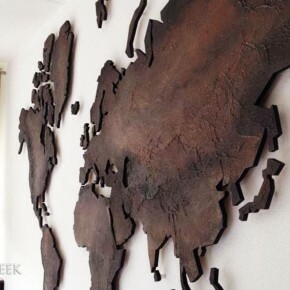 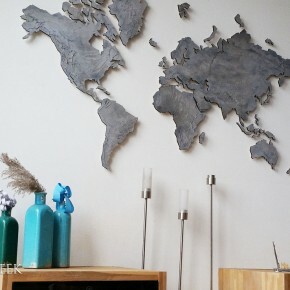 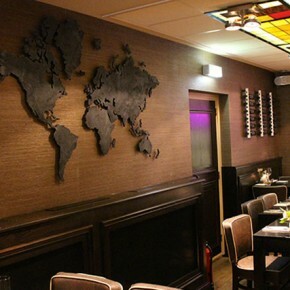 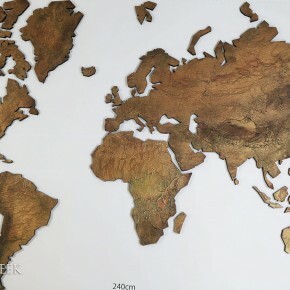 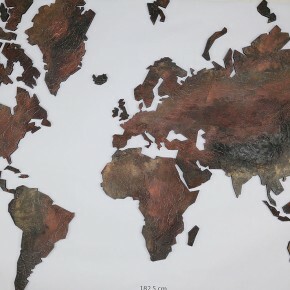 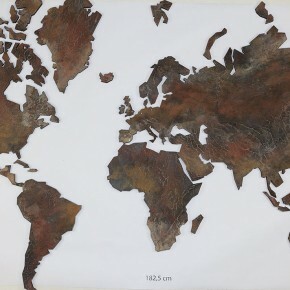 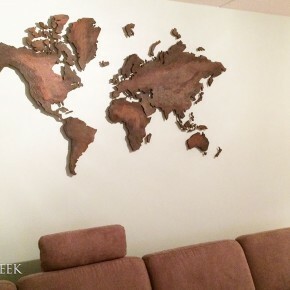 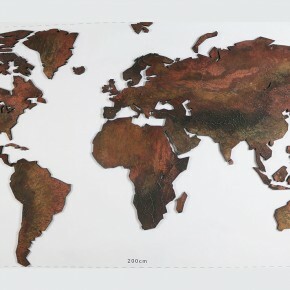 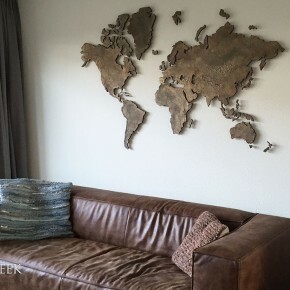 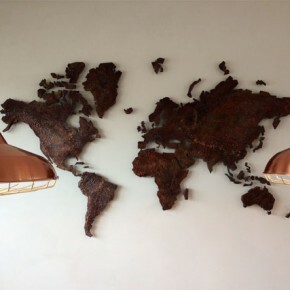 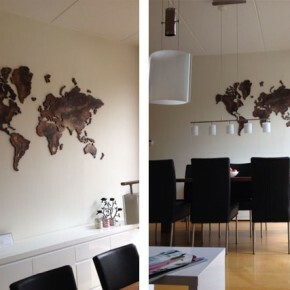 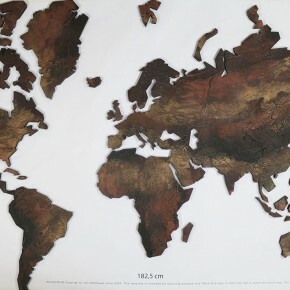 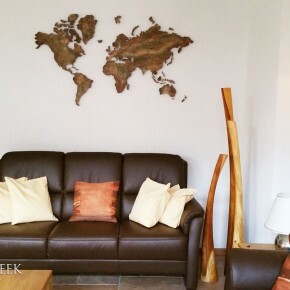 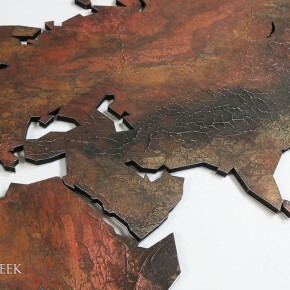 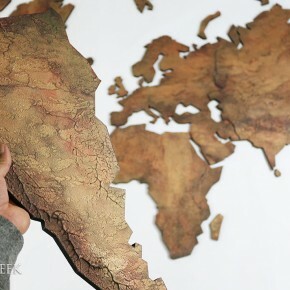 The WorldOfArt© world-map is designed by Van Offerbeek and is constructed out of wood. 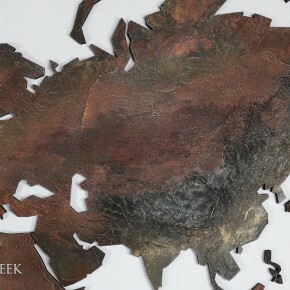 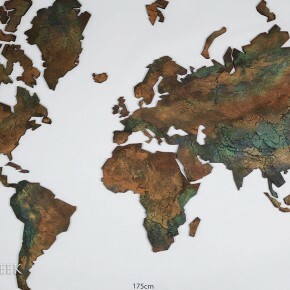 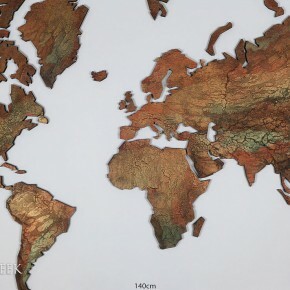 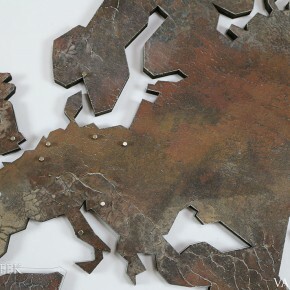 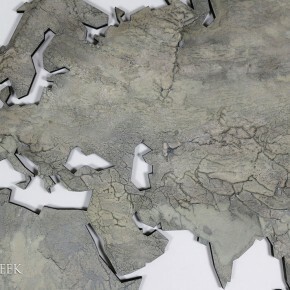 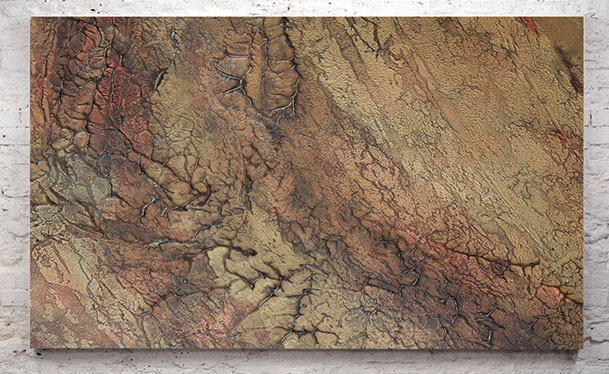 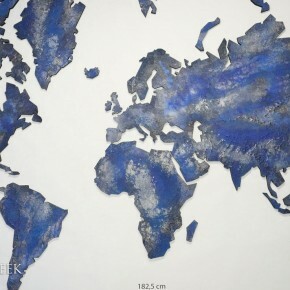 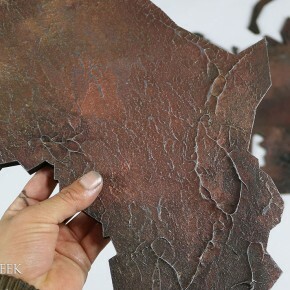 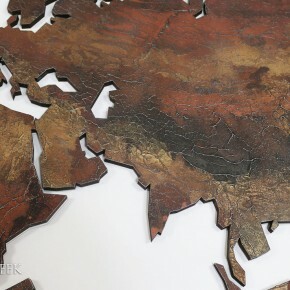 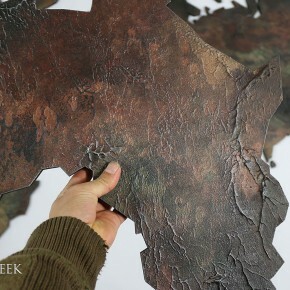 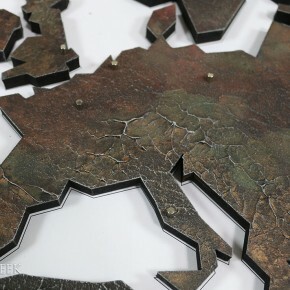 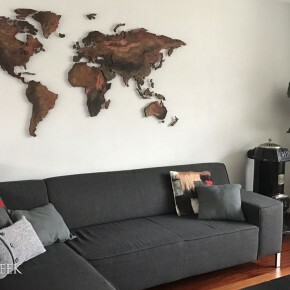 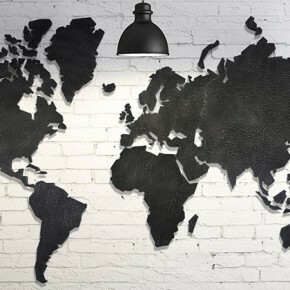 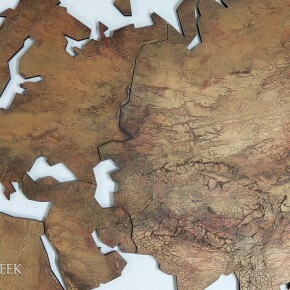 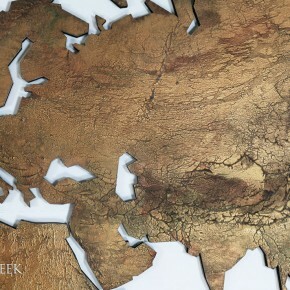 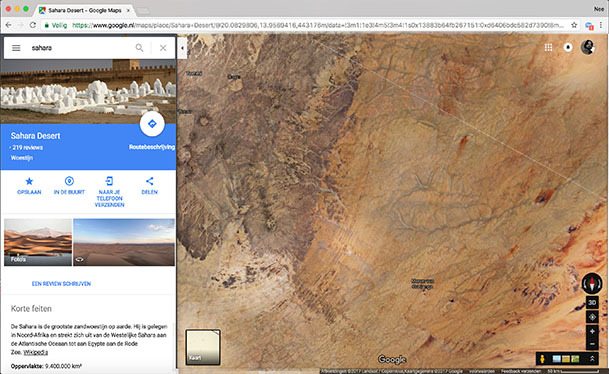 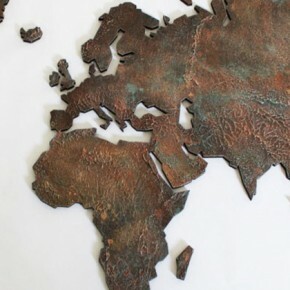 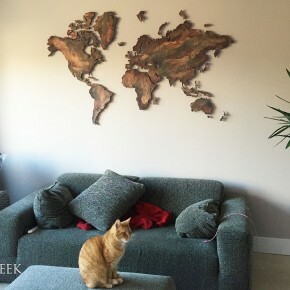 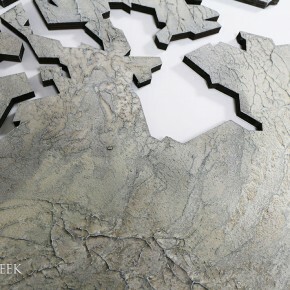 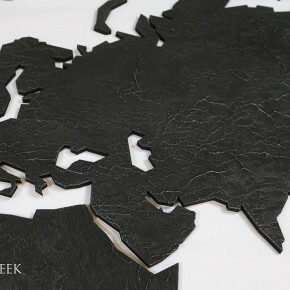 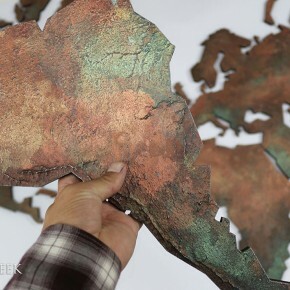 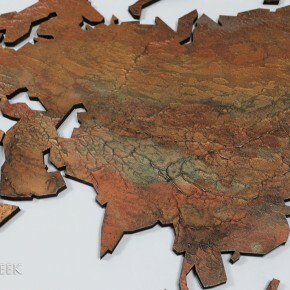 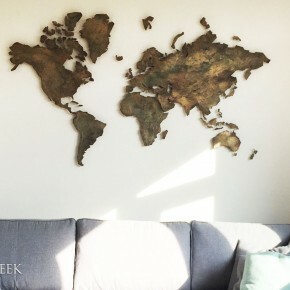 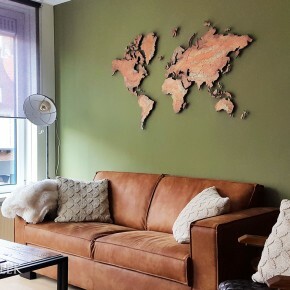 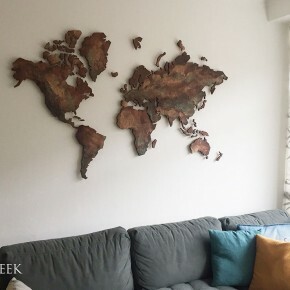 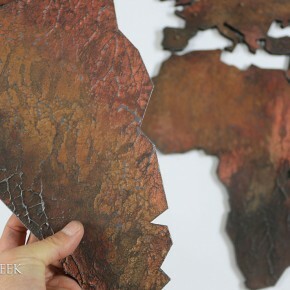 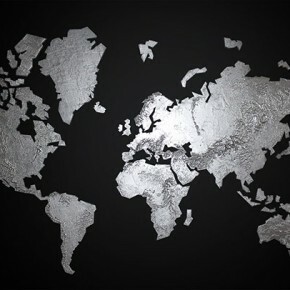 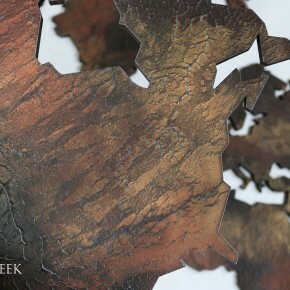 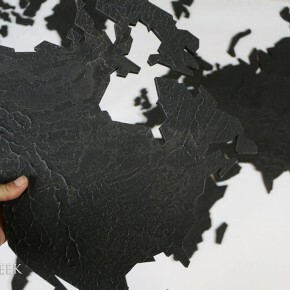 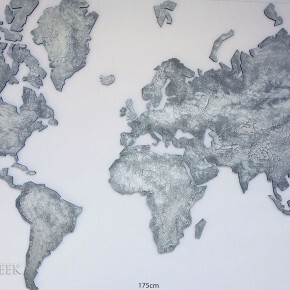 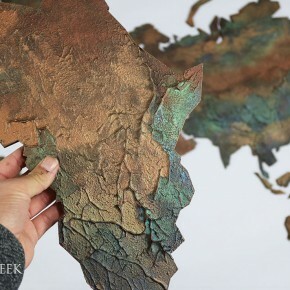 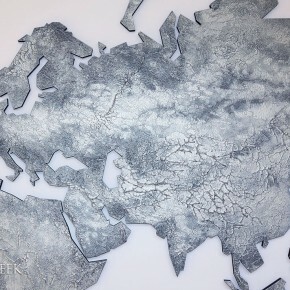 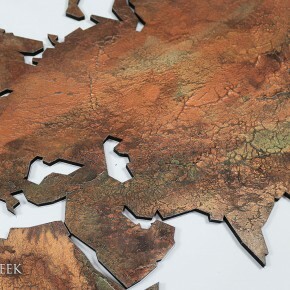 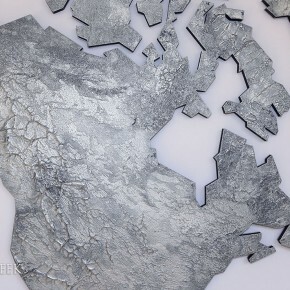 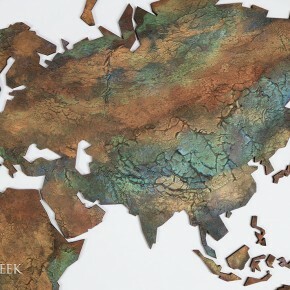 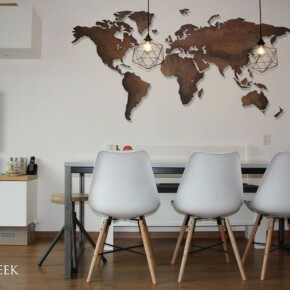 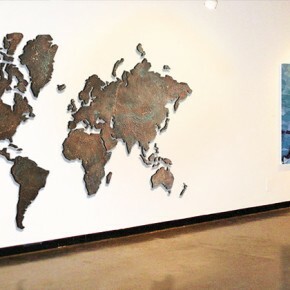 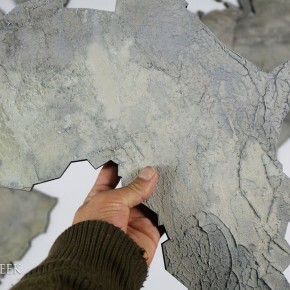 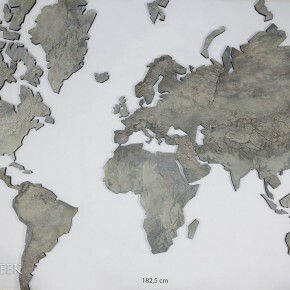 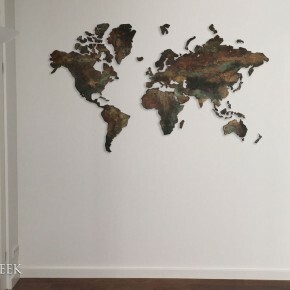 These world maps stand out due to their high quality stone finish and artfully hand-painted coating which is inspired by satellite photos of Google Earth. 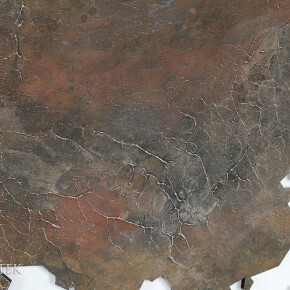 The surface is constructed out of a hight quality stone-like layer in which the mountainous relief is clearly visible. 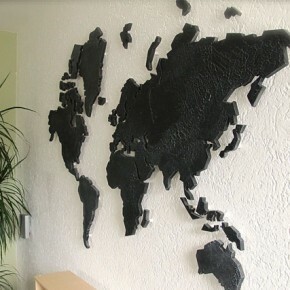 You can also opt for a magnetic finish on which you can place magnetic markers, which are supplied. 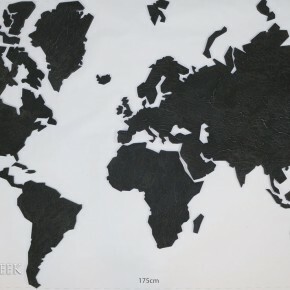 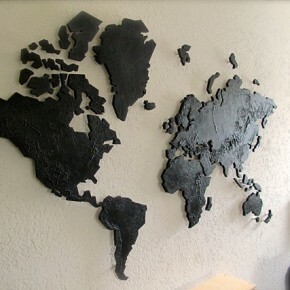 The WorldOfArt© world-map comes in seven standard sizes. Curious about the possibilities for your company or organization? 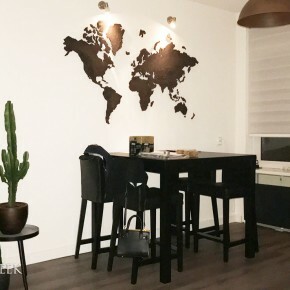 Please feel free to contact me! 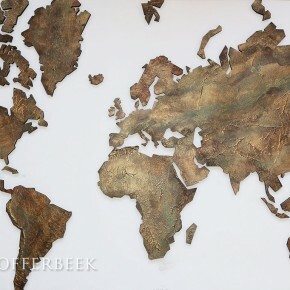 © Van Offerbeek | Art & Graphics.